One of the biggest makeover jobs that a person will probably ever undertake in their home, is in the kitchen. And… one of the most expensive items to tackle are the cabinets. 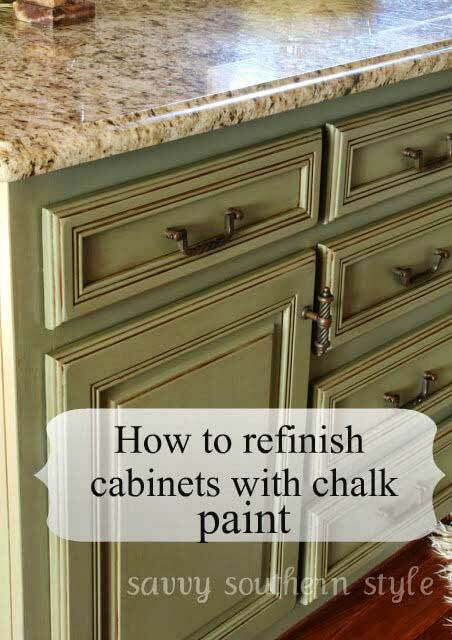 If you don’t want all of the cost of replacing cabinets, you might consider paint. 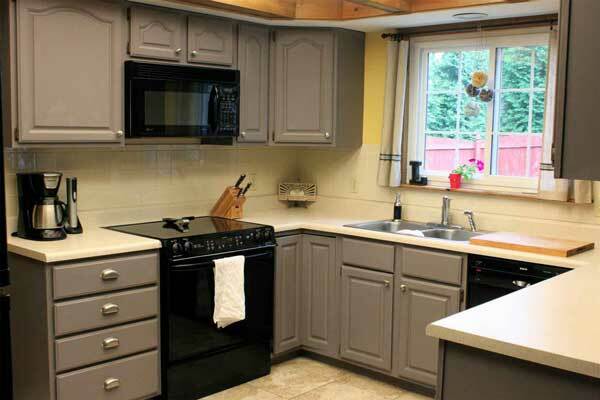 Painted kitchen cabinets will give your kitchen a fresh new look without all of the cost. Luckily, there is a lot you can do with paint. Picking out the right color, finish and/or glaze affect will leave you feeling like you have a brand new kitchen! 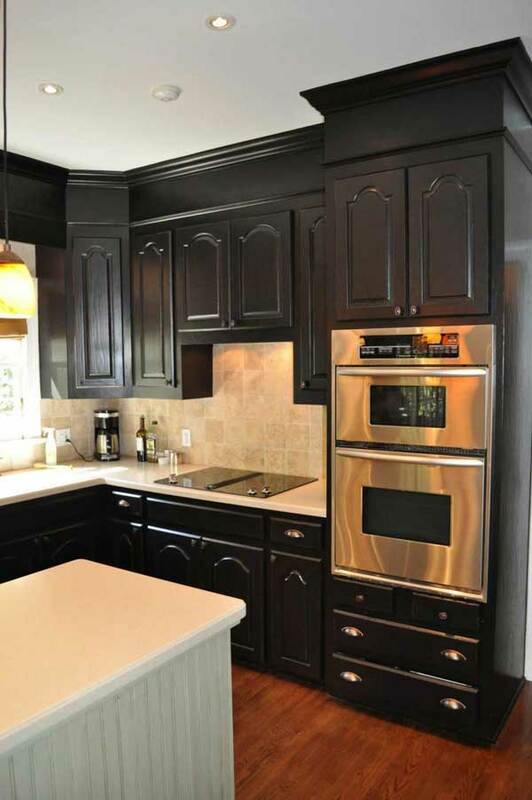 Here are some fantastic ideas for painted kitchen cabinets that will help to inspire you. No one says you have to stick with just one paint color! These two paint colors coordinate perfectly together and are very chic and soothing to look at. 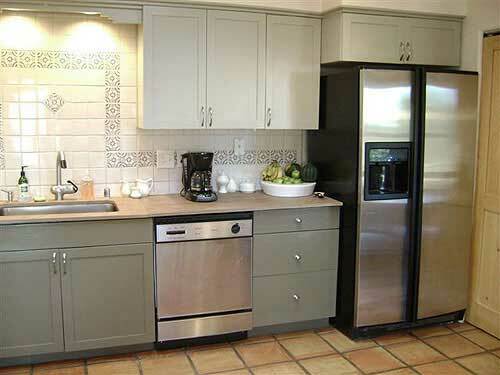 White is extremely popular as a color to paint kitchen cabinets. Black is gaining in popularity. But gray… is just a little different. I really like how the brushed nickel cabinet knobs look against this shade of gray. Any of the three colors would work in this setting. Here you can see why black has become so popular. It is a great choice with stainless steel appliances. Here is a tutorial for using a gorgeous combination of Annie Sloan chalk paint, lacquer and glaze for a look that is full of stylish charm. To complete the look of your painted cabinets, make sure to check out my post on Ten DIY Cabinet Knobs! I’m glad you like my painted cabinets and you shared my photo, but the link doesn’t go to my blog. I would sure appreciate it if you would correct that please. I am so sorry Kim! I accidentally left the link field with the previous photo’s url. Thanks for the catch! It is now fixed.